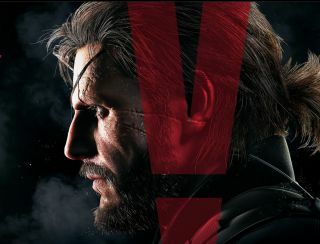 The "A Hideo Kojima Game" message is a familiar tagline for Kojima Productions titles, but the message, and the Kojima Productions logo, have been removed from Metal Gear Solid 5 imagery on the new MGS5 website, which has been relaunched as part of Konami.com. The Kojima Productions Twitter account is now a generic Metal Gear Solid 5 Twitter account, and Eurogamer note that Hideo Kojima has disappeared from Konami's list of corporate officers. The change, spotted by posters on NeoGaf and Reddit, arrives during a planned move to a "headquarters-controlled" company structure. A Konami statement to Videogamer attempts to reassure MGS fans. "Konami Digital Entertainment, including Mr. Kojima, will continue to develop and support Metal Gear products. Please look forward to future announcements." Kojima himself has said nothing, though much is being made of a cryptic tweet he made on Monday. He does tweet this sort of thing all the time, however. He also recently said that "with Metal Gear Solid 5, I'm finally closing the loop on that saga. Even if the Metal Gear saga continues, to me this is the last Metal Gear." Again, he says that a lot. Has Kojima split with Konami? Is this a some sort of meta Kojima stunt? What does any of this mean for Koj Prod's Silent Hills game? It could just be an extensive rebranding exercise on Konami's part, though it's odd to remove the name of such a respected designer from packaging when he's such an integral part of Metal Gear's identity. We'll have to wait on Konami's "future announcements". I'll leave you with Kojima's most cryptic public statement, the deeper meaning of which we've yet to discern nearly three years later. MGS 5 is out on September 15 this year. UPDATE: An anonymous source has told Gamespot that Kojima Productions and its owner/publisher, Konami, have suffered some kind of falling out, and that senior staff at the studio have had their access to corporate communications, internet, and telephone restricted. Limits have also been placed on how they will be allowed to promote the upcoming Metal Gear Solid 5: The Phantom Pain. The changes leave Kojima and other members of the studio effectively working as contractors rather than Konami employees, and it's now expected that once MGS5 is completed, the studio will disband. In a statement sent to IGN, however, Konami indicated that Kojima is not leaving. "As we have already announced, we are shifting our production structure to a headquarters-controlled system, in order to establish a steadfast operating base capable of responding to the rapid market changes that surround our digital entertainment business," a representative said. "Konami Digital Entertainment (including Mr. Kojima), will continue to develop and support Metal Gear products. Please look forward to future announcements." It's well-known that Kojima has mused about walking away from Konami and Metal Gear Solid in the past, leading to suggestions that this latest outburst is more of the same: Another "bluff" that ultimately won't lead to anything. Over at GamesRadar+, however, Dan Dawkins argues that this could actually be the end—and that it might not be a bad thing. "'This is good, isn't it?' says Big Boss, chewing on a final cigar, in his final words. What is good? The cigar? The game – which at the time we thought might be Kojima's last? The final moments with his son? It hardly matters, but in the fading of an icon, Kojima brings us away from the pompous complexity of the series', and into a beautiful human moment – and in walking away from MGSV, we could expect a very human reaction to his departure. A point of reflection, allowing us to consider all that we have lost," he wrote. "How would Kojima spend his time if he only had one year left? 'Right now I'm making MGSV. I would do just about anything to keep on making the project, I'd sell body parts, whatever I had to do. But if I only had one year left, I think my answer would be different. I think I'd like to stop exploring games and maybe make a movie, or write a book. I would also like to go into space. You know, things like that.'" The full article is a good analysis and an entertaining read—well worth your time, even if you're not a fan.